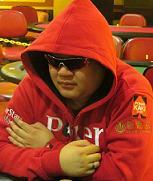 Poker Kaki Forum • View topic - LWPS 26th May 9am Ferry is FULLY BOOKED!! LWPS 26th May 9am Ferry is FULLY BOOKED!! All bookings for 9am are full on 26th May 2012. If kakis want to play the Main Event Freeroll on board, there are only 2 time slots left. So act fast and book now to avoid disappointment. Re: LWPS 26th May 9am Ferry is FULLY BOOKED!! cabin sleeping and shower space for rent.. $50 for the night and 10% of your action... bidders are welcome! LOLLLLL!!!!! Phuturist wrote: cabin sleeping and shower space for rent.. $50 for the night and 10% of your action... bidders are welcome! LOLLLLL!!!!! Serious sia cabin fully booked.. looks like im sleeping somewher in the cruise...haha..
lol no cabin then i don't go lor... haha no loss there!